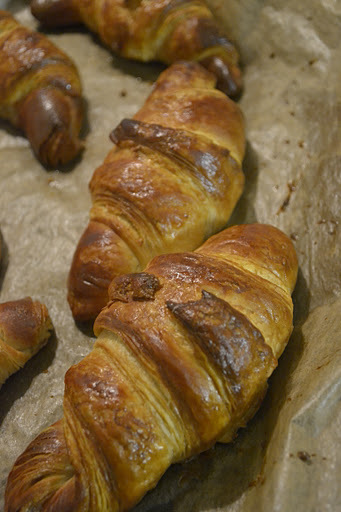 So it turns out Bourke Street Bakery know a thing or two about croissants. 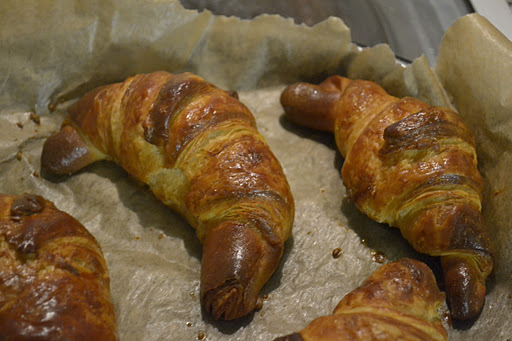 My croissants have turned out ridiculously well. They’re laminated and flaky. Golden and poofy. Yes, poofy is a word. I may have died and gone to croissant heaven. Either that or I have found my new calling. It wasn’t even that much hard work. Well, okay the rolling and folding part took a little effort. And my ability to calculate time is still a problem so my croissants were proving last night at 8.30pm at which point I decided it was probably best to wait until today to bake them so I had to keep them in the fridge overnight and then remember to remove them this morning so they could spend the day coming to room temperature. 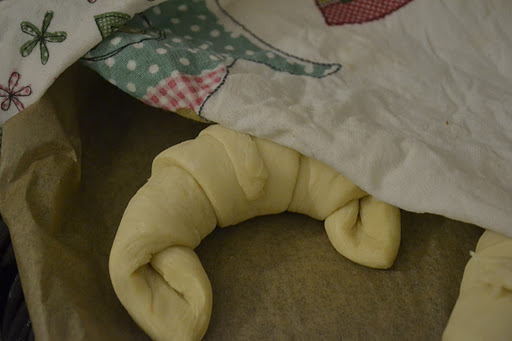 And my actual rolling-of-croissant skills clearly need developing. But they’re going to make an excellent dinner! It was so worth the effort. And it proves you can make (almost) anything in a tiny tiny space.